Salt was flying off the shelves at the local hardware store in Glendale Thursday night. The manager at the Village Ace Hardware says they stocked up after taking a look at the forecast. "We just loaded everything up a little while ago so we'll be good to go for another couple days again" said Scott Ponfil. He said some customers have told him that the ice melt has been hard to find. Customer John Flaig was stocking up on special ice melt that is safe for pets. "It's pretty dangerous, it's turning to ice and I'm noticing people slipping" said Flaig. 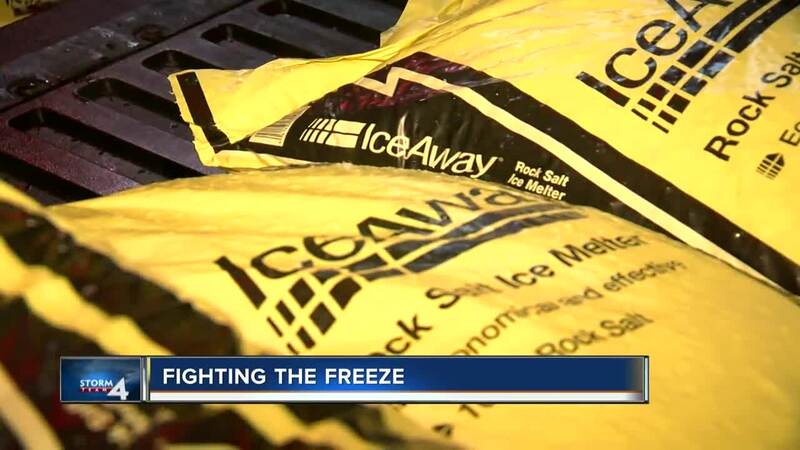 Karen Higgens bought two 50 pound bags of ice melt to treat the driveway and walkways at her house. "It's getting there although I think it's going to come on tonight," she said. "You know it's nice to put it on tonight and tomorrow we'll be a lot safer."